In 15 years, Egan Tucker has spoken to no-one but his mother. Escaping from an abusive husband, Moana (Moma) took baby Egan to live in the Coromandel bush. For 15 years, Moma taught Egan to survive, and instilled in him her code for a good life. A chance meeting with a DOC deer culler (JT) while out hunting, results in Egan finding his first friend. When Moma goes to get supplies one day and never returns, Egan decides to head to Auckland to get help from his mothers friendbut also to try and find JT. 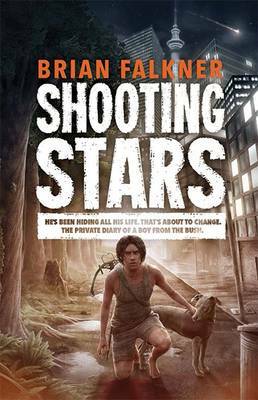 But Egan finds that survival amongst the streetkids of Auckland is nothing like living in the bush, and he is unprepared for the tragedy that awaits. This intriguing, spell-binding read from award-winning author Brian Falkner touches on themes of survival, personal responsibility and domestic violence, all couched in a unique and gripping adventure story.